The audio production is great, too, with two performers following the different story threads (the book itself is framed interestingly, with stories within stories as the protagonist sifts through documents and journals and letters that discuss other documents and letters and journals, etc.). This is a book for nerds who enjoy high level scholarship, history buffs, and anyone who has ever written a collation paper. This is also a book for fans of the original Dracula novel, as the entire book is something of an homage to that book's storytelling through journals, letters, and news clippings. So good. And creepy. This is definitely a horror novel, a slow, creeping in the darkness where you can't see it until it's too late horror novel. 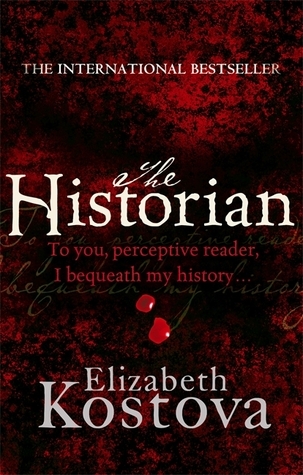 Sign into Goodreads to see if any of your friends have read The Historian.